A former employee with the Community-Based Environmental Protection and Enhancement Programme (CEPEP) is calling on Chief Secretary Kelvin Charles and Chief Administrator Raye Sandy to investigate fraudulent payments in CEPEP in Tobago. Camella Malcolm, 50, of Mt Pleasant, said she was “verbally dismissed” from her job as a checker after she refused to comply with instructions from supervisors to pay workers for time they did not work, including sick leave. “I am pleading for a thorough investigation into the operations of CEPEP, into why I was dismissed without valid reason or written dismissal letter, and why when I made complaints of fraud since 2013, it wasn’t addressed,” she said in an interview with Newsday Tobago on Tuesday. Malcolm said she met several times with former Health Secretary Claudia Groome-Duke and former Health Administrator Karen Ottley, when CEPEP fell under that Division. She said Groome-Duke had acknowledged that the information she was presenting pointed to fraud and had instructed Ottley to deal with the matter. “In another meeting with Ottley and other officials from the Health Division, CEPEP heads and myself, Ottley told me that CEPEP has no laws, CEPEP workers cannot take them to the industrial court and it’s what they give us is what we have to take. Then she told CEPEP officials not to pay me,” she reported. Malcolm started work at CEPEP in 2002 as an unskilled worker with the Buccoo Coral Gardens gang. She was promoted to Checker in 2012, but then in February 2016, the Tobago House of Assembly (THA) stopping paying her. She said this happened right after a meeting in January 6, 2016 with supervisors who asked her then to backdate a worker’s sick leave certificate. Malcolm told them that she could not do this because it was wrong. 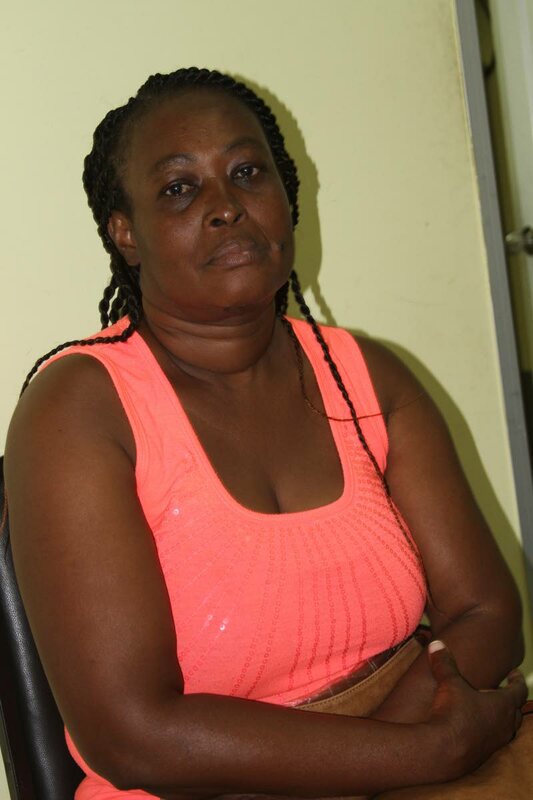 She told Newsday Tobago that this was the final of several instances when she had been instructed to pay wages to workers who had been absent for over three days without a valid sick leave. She said such instructions had also applied to workers who worked for just a few hours but got a full day’s pay. She also recalled an instance when a new employee was sent to work without a letter. “I got no word from CEPEP so I refused to put her on the pay sheet without the letter of employment. The woman came back with a rake and insisted that she was to start work. I called the coordinator and the foreman, and I was told that I have to put her on the pay sheet. She recalled another incident when she was instructed to pay an employee while he was in police custody. Malcolm said at the January 6, 2016 meeting, when she refused to back date the sick leave for a particular employee, the four supervisors present asked her to leave the office. She said subsequently, someone else was assigned to do the pay sheets, and the sick leave that she had refused to do, effectively taking over her work. Malcolm continued going to work, nevertheless. She had no duties assigned to her, but she got no communication from CEPEP that her employment had been terminated even though her last payday was January 25 to February 5, 2016. She said in May 2016, she was threatened by the area coordinator who told her he would get the police to remove her from the job site because she was no longer on the payroll. She continued to go to work. In July, the same co-ordinator told her again to get off the jobsite, and he called the police. Malcolm said she left before the police arrived. She never went back to work. On May 25, 2016, she got a letter about her “continued misconduct in CEPEP office and job abandonment.” The letter stated, “our records reveal that your last working date on the job site was approximately the 19th April 2016.” And she was warned about her attempts to bring the matter to the attention of the media and advised that disciplinary actions will be taken against her. She accuses CEPEP officials of victimisation. She is calling for compensation for lost employment and for the authorities to investigate the fraud in CEPEP. Reply to "Fraudulent payments at CEPEP"